Brownell Public Library - Little Compton, RI | Summer @ the Library 2018 begins June 18th! Summer @ the Library 2018 begins June 18th! This year’s summer reading program, Summer @ the Library 2018, begins Monday, June 18th with registration inside the library. 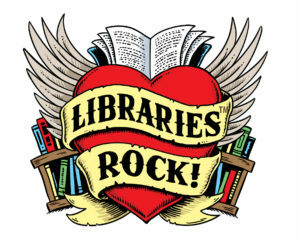 The theme this year is Libraries Rock! Kids and tweens can complete a game board for prizes and enter to win a larger musically-themed prize at the end of the program. We will also welcome a fun variety of entertainers and educators to amuse, educate, and delight audiences of all ages! Notice: Library opens @ Noon on Tuesday, June 5th Summer Reading Program Kickoff with Circus Dynamics!